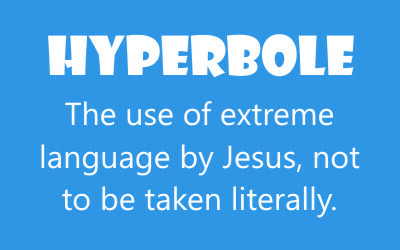 Category Archives: Did Jesus Use Hypebole? Categories: Did Jesus Use Hypebole? | Tags: Exaggeration, Extreme Emphasis, Hyperbolic Statements by Jesus | Permalink. I was disturbed when I read Matthew 18:9, “And if your eye causes you to sin, gouge it out and throw it away. It is better for you to enter life with one eye than to have two eyes and be thrown into the fire of hell.” I don’t believe Jesus was teaching us that we need to literally pluck our eye out, was He? I assume it had to do with sin in our lives and doing whatever it takes to get rid of it. Am I right about this? In regards to Jesus’ statement regarding “plucking out your eye” (Matthew 18:9), we know the Lord did not intend this to be taken literally. The Bible condemns self-mutilation or inflicting wound s on your body, which is the temple of God. The Roman Catholic Church, for instance, has encouraged the practice of self-flagellation (imitating the sufferings of Jesus) for centuries on their “Good Friday” holiday. They believe that scourging their backs with whips or placing a crown of thorns on their heads until their blood runs down is pleasing to God, when in fact He disapproves of it completely. Although we should most certainly avoid cursing other people or calling them harmful names when we are angry at them, I don’t believe that God would send you to hell for calling someone a “fool.” Neither is the sin of visually or intensely lusting after a woman (or man) the same as actually committing the physical act of adultery with her. Jesus used exaggerated or extravagant statements (hyperbole) to emphasize the point He was trying to drive home in His teachings. They are not intended to be taken literally, in most cases, but analyzed in view of the essence of the message. 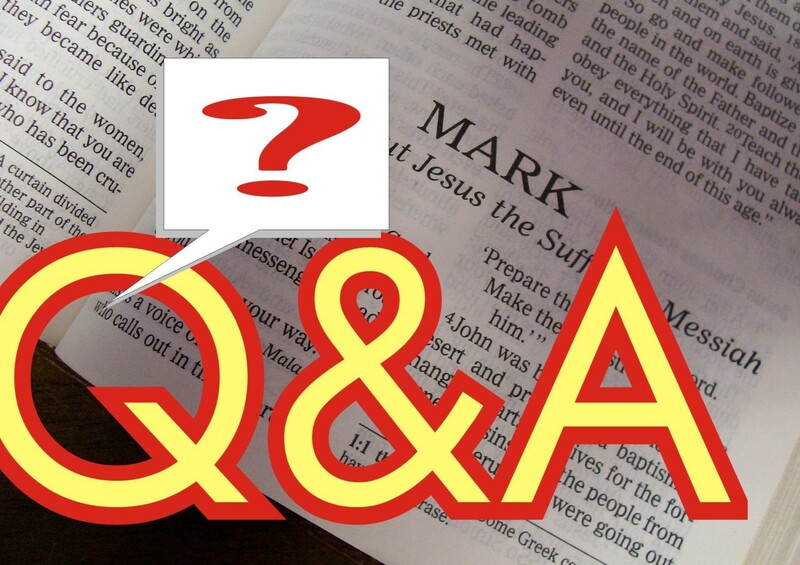 Categories: Did Jesus Use Hypebole?, QUESTIONS & ANSWERS | Tags: exaggerated statements, God, Holy Spirit, Jesus Christ, Matthew 18:9, Matthew 5:22, non-literal, Religion, Roman Catholic Church, Self-Flagellation, Teachings using hyperbole, theology | Permalink.